In other words, it’s never too early to start playing. Here are 10 ways kids can play their way to a stronger brain. Play With Flash Cards: There are many types of flash card games you can play with Baby to help identify colours, letters, numbers and more. You can even make your own flash cards to help your kiddo identify family members in photos. Dress Up: Provide old clothes, hats, accessories, wigs and other props to encourage creativity and imagination. Colour and Finger Paint: This activity feeds creativity and is great for hand-eye-coordination. Your little one has the freedom to create what they want, but has to work put the paint or crayon to paper, honing their fine motor skills. Go to the Playground: The playground is a great place for development and helps with decision-making, as there are various activities to choose from. The jungle gym is great for dexterity and for understanding limitations. It can boost their social skills, too, as they may meet other friends to dig around with. Play Hide and Seek: Alter this game according to age. For your six-month-old, hide a toy under a blanket and let them find it. With your two-year-old, you may wish to play along and hide around the home. This type of play allows your little one to work on problem solving. Build with Blocks: This classic activity helps with dexterity. If you or a sibling get in on the building action, it can help your child’s team building skills, too. Enjoy “Smart” Toys: Interactive toys, like kid-friendly tablets or readers, can boost language and reading ability in children over two. Toy Pets or Dolls: Role playing will help your child become nurturing and it teaches responsibility. It will also assist with emotional development. Blow Bubbles: Have your little one follow bubbles as they float away, or catch them with their hands and watch them pop! This will help with sensory development. Parents need to involve themselves in playtime. Here’s how to do it. Get down to their level. Your child will be more engaged and learn more if you make eye contact with them. Don’t be afraid to act silly. 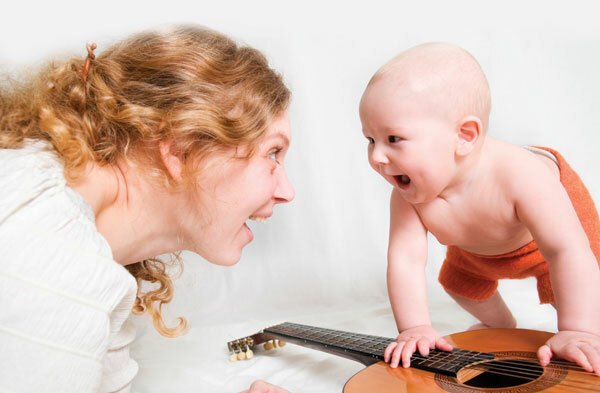 Being animated and making funny faces or using silly voices will entertain your baby, keeping them interested. Repeat names and mimic actions. Repetition is important for your child’s memory development during play when they are first learning words and actions. Follow the leader! Let playtime go where your child wants. Don’t control the play; let it evolve naturally. Focus on clean-up. Be sure your child helps tidy or watches the process of cleaning up the mess you made while playing. Encourage your child to embrace the world of the make-believe.